After my It Takes Two fix earlier, I somehow ended up watching four straight episodes of Come Dine With Me. I often take an idle interest in the dinner party dramas, but this is the first time I’ve actively chosen to see how a whole week plays out. Perhaps it’s laziness, the button box (sorry, remote control) was left on the other sofa, after all. But despite the repetitive format, my only moments of boredom came in the ‘coming up next’ and ‘last time’ sections, where the same clip was sometimes shown three or four times. It also helped that the contestants were reasonable human beings who didn’t deliberately antagonise each other, as previous disputes have been a factor in my channel changing after one or two episodes. 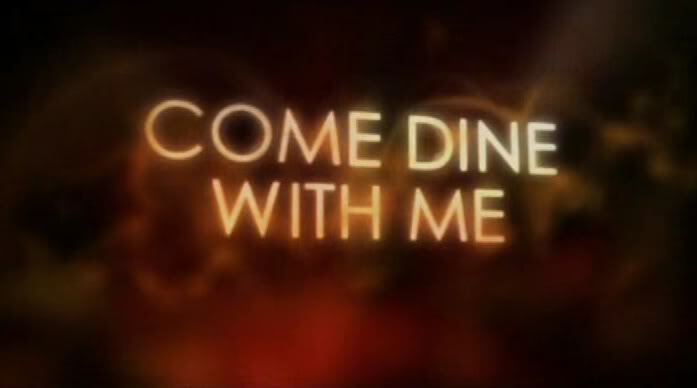 If I could watch Come Dine With Me without adverts though, I might tune in more frequently: there are always interesting recipe ideas and it’s intriguing to observe how different people host and behave at dinner parties. Am I judging them for their actions at the table? Yes, to an extent, but doesn’t everybody who watches reality TV form opinions about the contestants? In turn I’m being judged by the boyfriend, for spending two hours watching what he considers rubbish. It is a guilty pleasure, I’ll readily admit, but for the sake of £1000 I think I’d try my hand at entertaining strangers, even if it did mean being subjected to the sardonic narration of Dave Lamb.